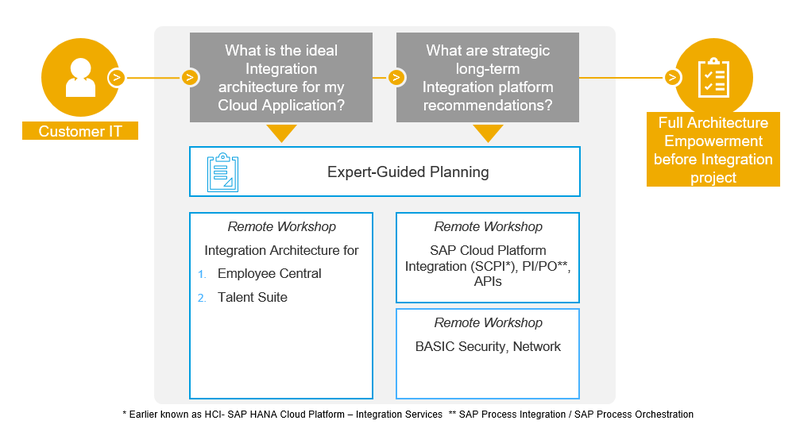 Are you planning to start an integration project for SAP SuccessFactors in the near future? If you do, we invite you to join the new expert-guided planning sessions offered by SAP Enterprise Support Academy and SAP Enterprise Support Advisory Council. These remote workshops, currently running in pilot mode, will help you understand the most important planning and architecture aspects of your project. You will also have the possibility to discuss with SAP experts and your peers. >REGISTER Learn about best practices for the available integration technologies in order to help you integrate your SAP SuccessFactors Employee Central solution successfully. Prerequisites: These sessions are open to all SAP Enterprise Support and Preferred Care customers (incl. SAP Enterprise Support cloud editions). What type of contingent do I need?